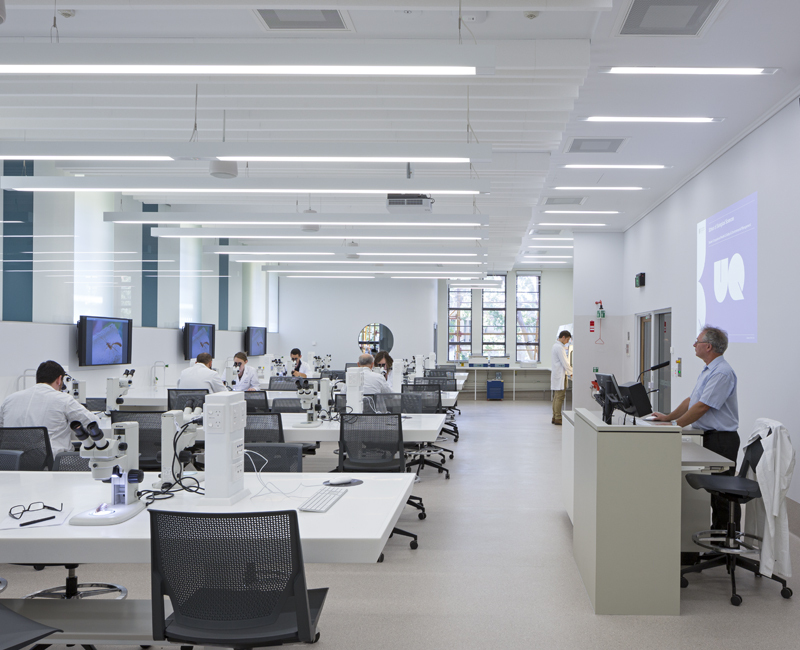 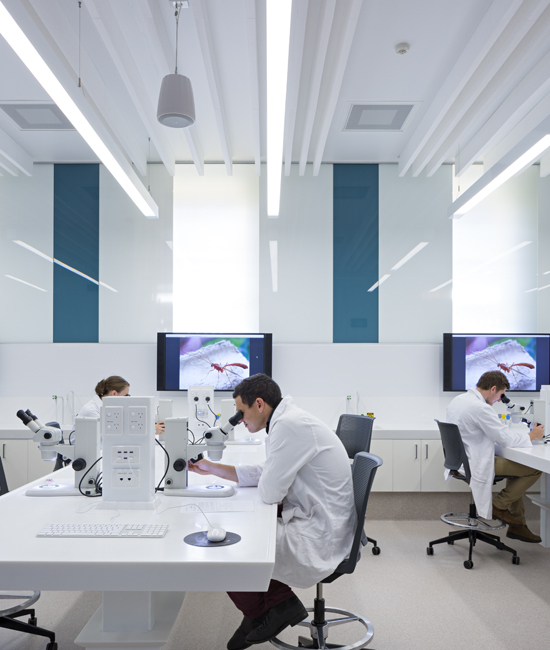 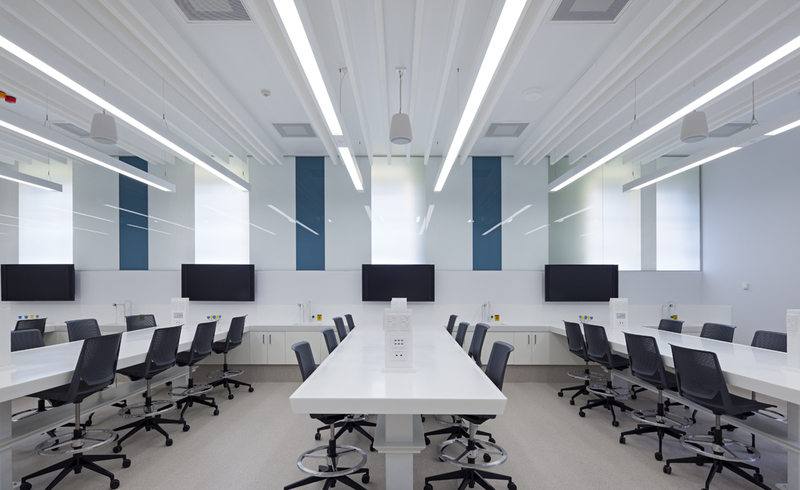 The University of Queensland will now have a more personalised learning experience following the opening of new teaching laboratories located within the School of Biological Sciences at St Lucia. 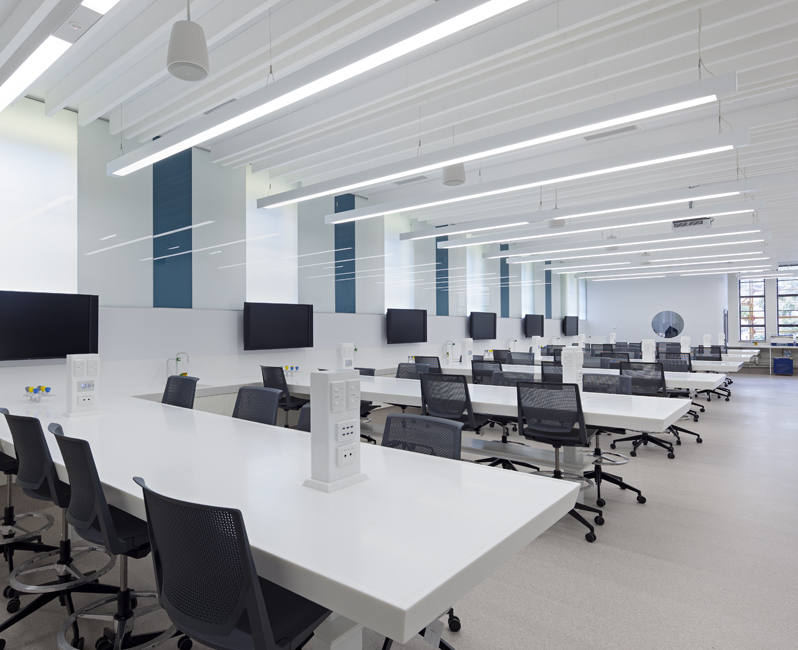 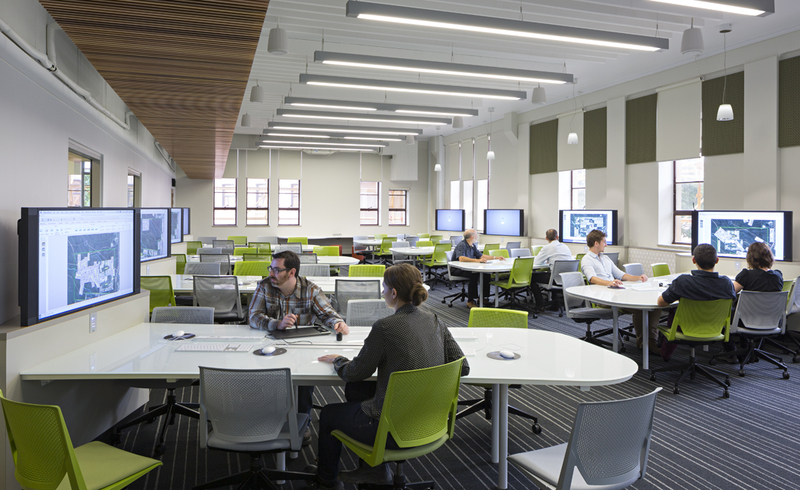 The $3.5 million learning space encompass two large rooms which can each accommodate up to 112 students, with a modern preparation area in between. 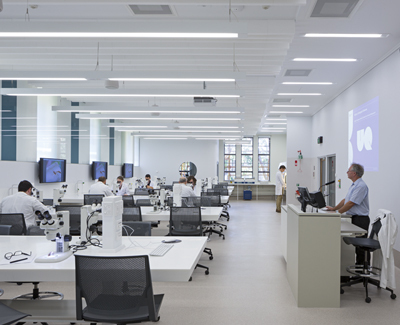 The School of Biomedical Sciences labs include walls which serve as interactive whiteboards, powerful microscopes, moveable demonstration benches and computers incorporating the latest data acquisition and analysis software. The systems used in this project were 110B and 85B. These systems gave the rooms not only the perfect ambiance and lighting but also added to the aesthetics of the room.